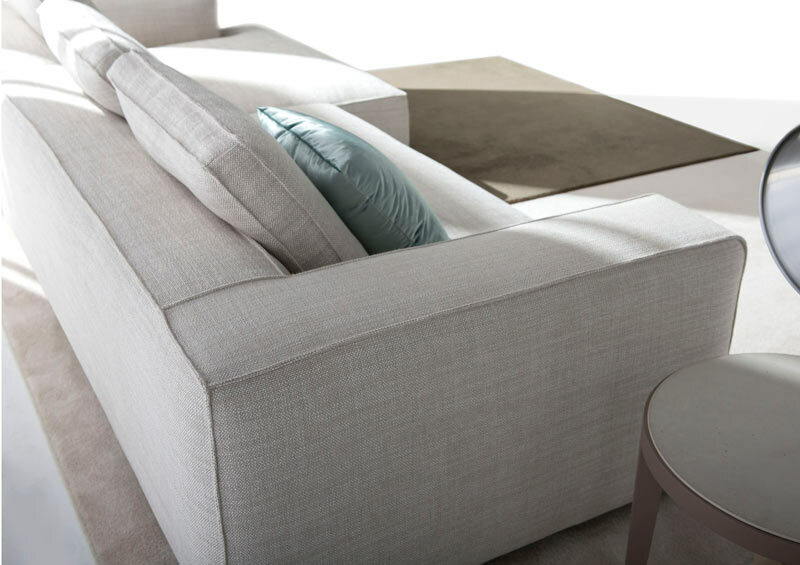 Christian is the most recent addition to the modern sofa collection by Berto. 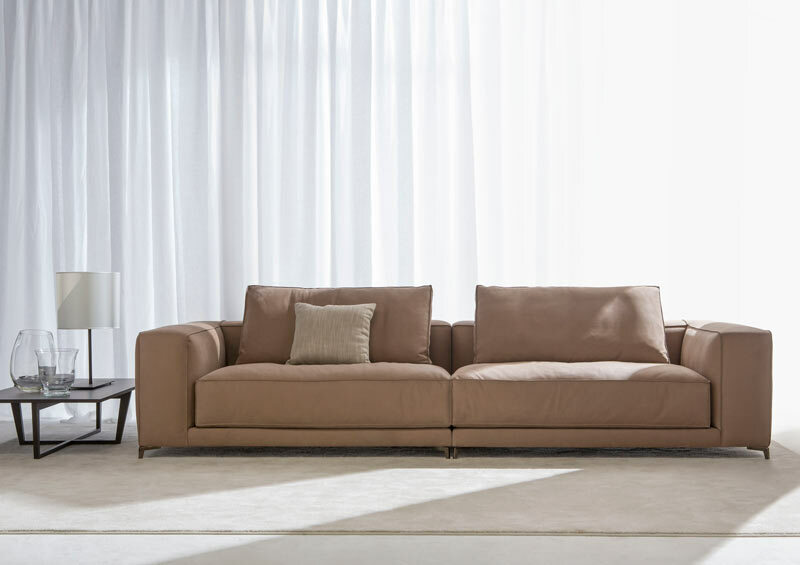 Designed with the goal of achieving the highest standards of comfort, the sofa Christian was made with the latest technologies and comes in three exclusive variations: modular, linear or leather. 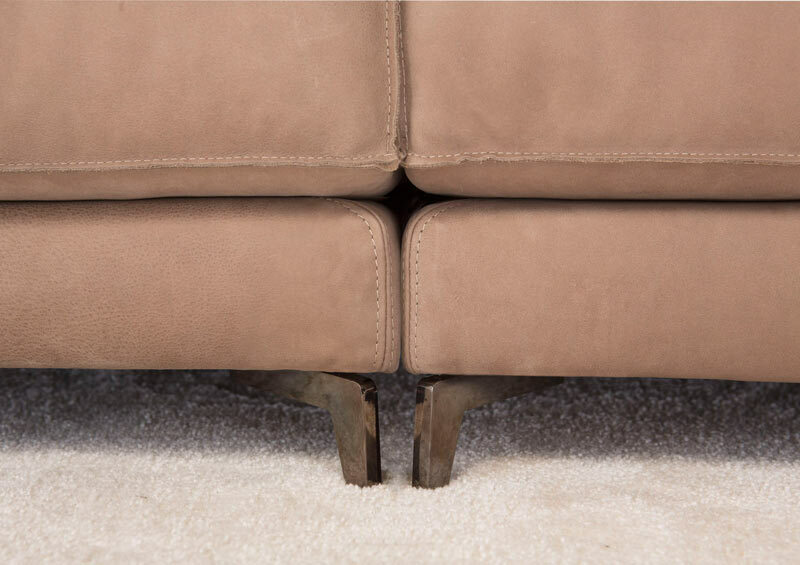 Our greatest challenge was to create a sofa with revolutionary comfort and a contemporary design enhanced by tailoring details. We achieved our goal; the result is an extremely comfortable sofa with soft wrap-around pillows. Christian however, is also durable to ensure its dimensional stability offering support and the ultimate in relaxation. Christian as a sectional sofa can easily be composed to fit the environment, decorating your home with modern elements and a very personal style. 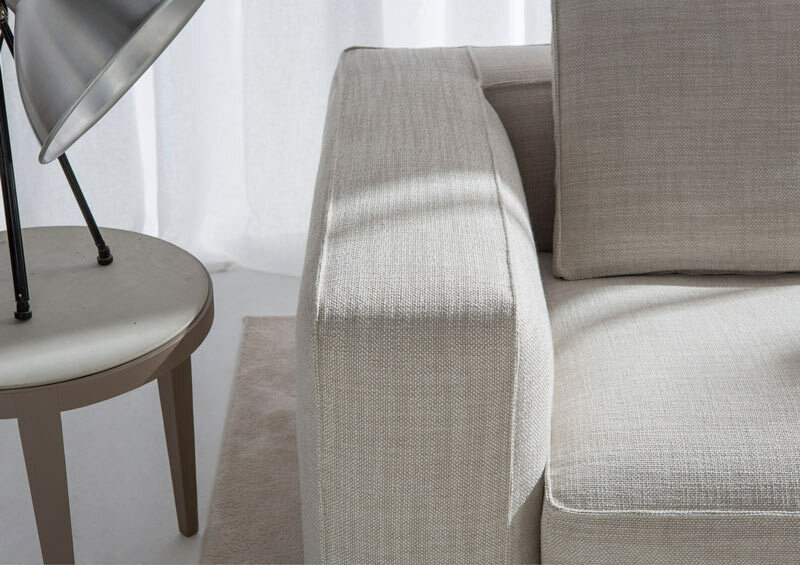 Individual elements allow you to create your perfect sofa; terminals with and without arms, both right and left, corner elements, modern chaise longues, square or rectangular ottomans and peninsulas. Christian is modern, comfortable and functional for both the contemporary and classic home decor, either way it will soften any setting. 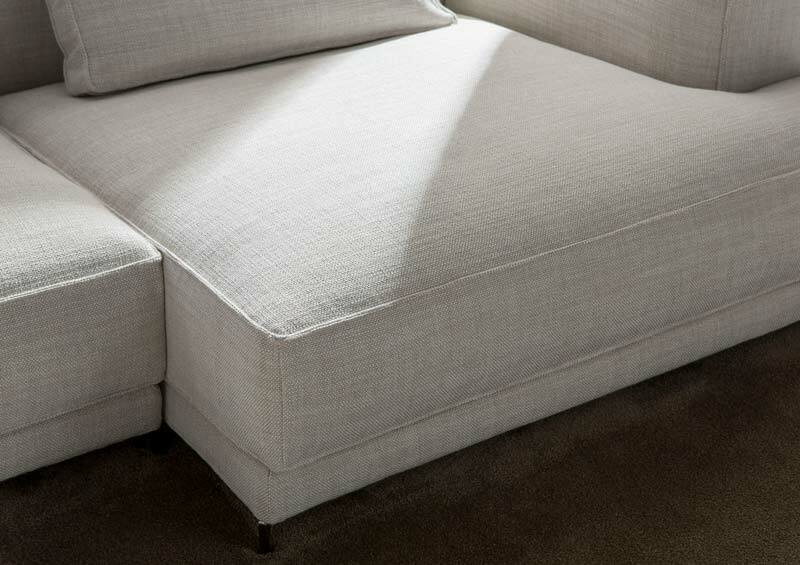 In the fabric version, Christian offers unique tailoring details, such as plucked stitching and soft deep seat cushions. 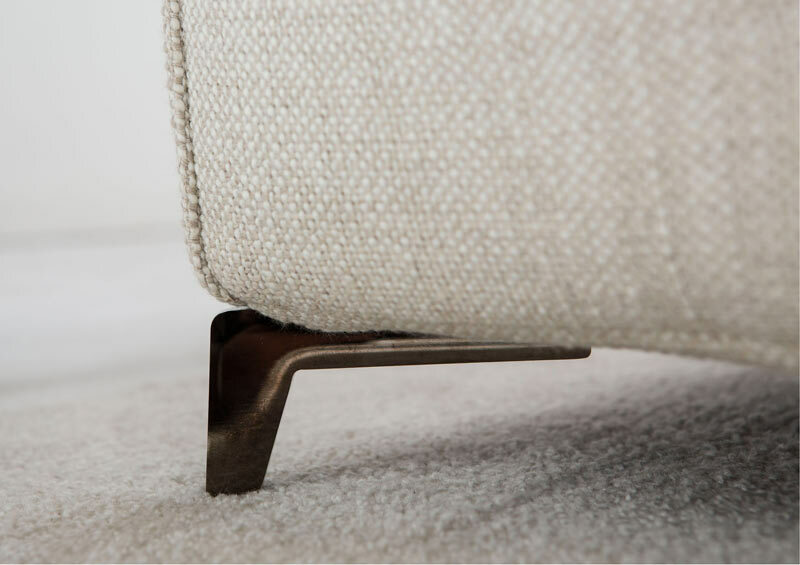 Christian holds and protects its entire surface, even on the edges of the cushions thanks to new polyurethanes mixed with goose feathers that maintain their volume even after use. The leather version is modular and linear; it is sleek and modern, enhanced by tailoring finishes such as cut and stitched raw edges. Chrome finish anthracite legs designed exclusively by the Berto Design Studio support Christian’s generous volume. 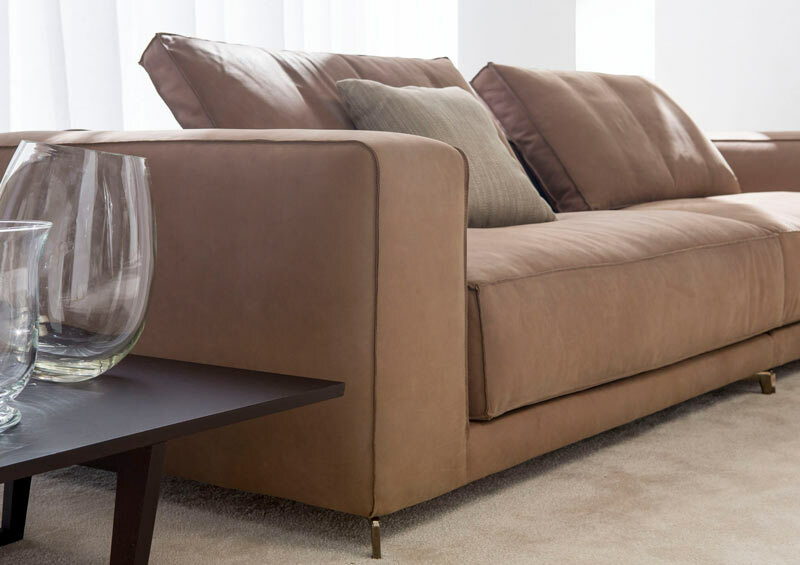 Christian is an ideal sofa to satisfy even the most demanding sophisticated design. 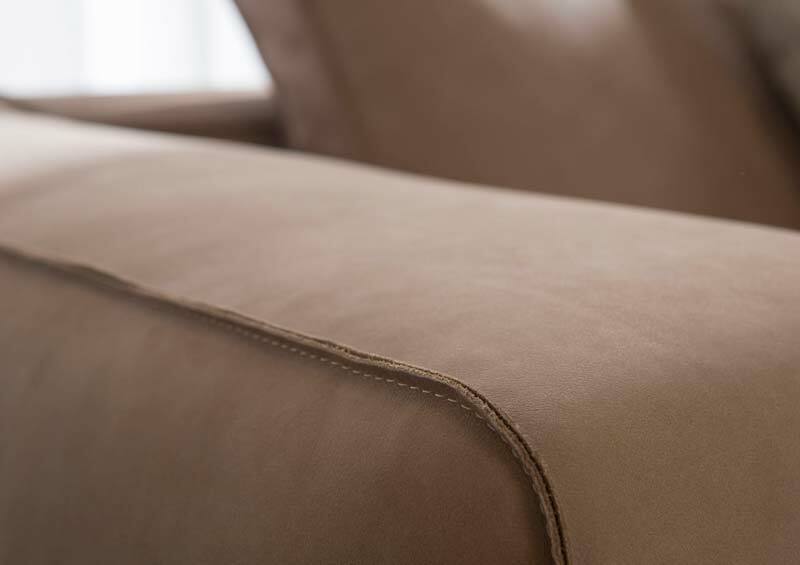 In addition to the variants proposed in the collection of sofas # Berto2014, Christian is customizable in size, in coverings and in comfort thanks to the service Berto Custom Made. 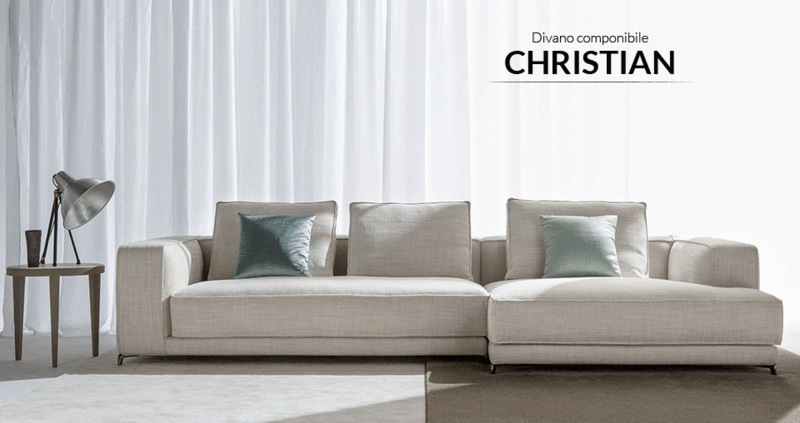 To discover the modern sofa Christian contact our furnishing consultants Arianna, Maurizio, Carlo, or Fabio and request a custom quote. Write to servizio.clienti@bertosalotti.it , call +39 0362-1851425 or visit the Berto showrooms in Meda and Rome.